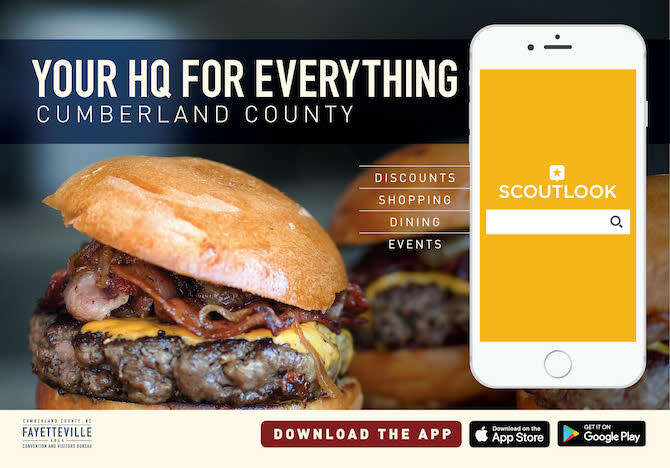 "ScoutLook" is a mobile app designed to help military and civilian families find their way around the Communities of Cumberland County, NC. With custom filtering options, user-specific recommendations and integrated GPS capabilities, ScoutLook provides users with on-the-go access to events, attractions, hotels, restaurants and other things around them, both on-base and off-base. For Military families and soldiers stationed on-base, ScoutLook offers directions, contact information and user reviews of all the Fort Bragg facilities, as well as integrated access to MWR&apos;s event calendar. 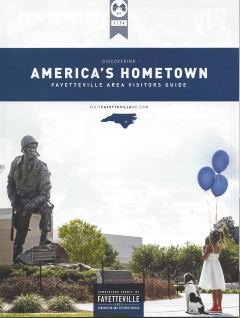 When the “off-base” preference is selected, ScoutLook transforms into a pocket guide for civilian families around the Communities of Cumberland County. Dashboard – Quickly access the latest updates and information from the main dashboard. Facebook Integration – Login with your Facebook account; see which of your Facebook friends are using ScoutLook. Search – Use the free-form search box to find listings or browse from a list of categories. Share Photos – Upload and post photos of places you visit straight from your mobile device. Favorites – Save shopping, restaurants, and other places of interest to your favorites and access them in one click. Write a Review – Write a detailed review of your experiences or read past reviews from other ScoutLook users for any listing. Entity/Venue Detail – View detailed descriptions, contact information, hours of operation, directions and photos. Nearby – View a map of the listings in your immediate area. Sort - Sort result list by distance or rating. Results View - Display results on map or as a list. Filter – Filter results for any category based on maximum distance, on/off base location and minimum rating. Event Calendar - View the upcoming events based on calendar day or your location - and see events on any calendar day. Google Maps Integration - Get turn-by-turn directions to any listing with one click. Coupons - Access exclusive discounts and coupons from local restaurants, stores, venues and more. Group Features - Get notifications, important updates and other information specific to your group.